Do You Know What Operating System Your Computer is Running On? You can find out what operating system your computer is running by using the examples below. Here are general instructions for finding information about your Windows® operating system. Because all system installations are different, these instructions may not work for you. For further help determining operating system compatibility, please feel free to contact us. Open your Control Panel (you can find it in My Computer or on the Start menu). The window that opens will show you the version of the Windows operating system you are running. 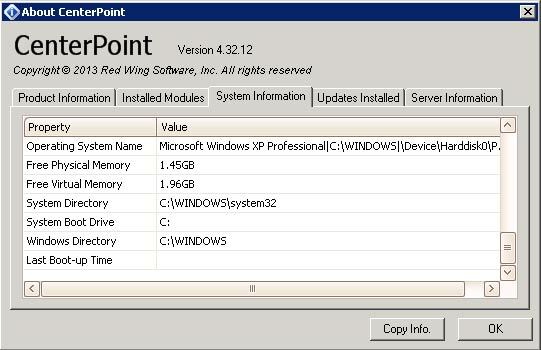 If you are working in your CenterPoint Accounting or Payroll program, you can follow the instructions below to find out what operating system you are currently running. On your Menu bar, click on the Help menu at the top of the page. Scroll down and click on the About menu. When the window opens, click on the System Information tab and scroll down until you see Operating System Name under the Property column. The operating system you are currently running will be displayed under the Value column. 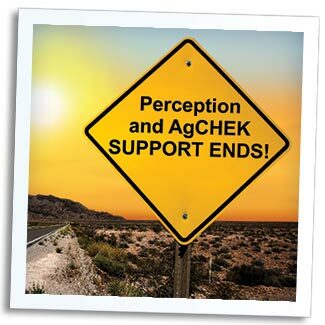 Red Wing Software users of programs AgCHEK and Perception: there are some upcoming changes to be aware of: AgCHEK and Perception support will be ending soon. (You’ve likely seen a note about this in the company newsletters, postcards or elsewhere.) Support will be ending March 31st, 2015 for AgCHEK and Perception. This means after that date, you will no longer be able to receive support services via telephone or email, and updates will no longer be made to the programs. In addition, there will no longer be payroll updates available for Perception Payroll after December 31st, 2014. Even though the thought of moving to something new might make you anxious, we want you to know that we are here to help! Here are three important facts about moving to CenterPoint, that may just help put your mind at ease, and get you on the road to making the move. All of your data will transfer to CenterPoint. Yes, ALL of your data will transfer over from Perception and AgCHEK, even the history! Your vendors, customers, chart of accounts, transaction history…EVERYTHING. What’s more, the process of bringing your data over is a very simple one. There is a tool built-in to CenterPoint Accounting which allows you to complete the process yourself, or the support team can help out if you prefer. They can also help you make sure everything transferred correctly. So you need not worry about having to go back to your old system once you make the move to CenterPoint. You also don’t need to run the two systems parallel, once you’ve made the switch. You can work with the same support technicians. There are many ways to learn the new program. You’ve been a customer of Red Wing Software for many years, so surely you know we stand behind our customers! There are several ways you can get used to the new CenterPoint program. Most of them are free. Online training videos. (FREE) There are two “New User Essentials” videos available online, which you can use to familiarize yourself with the CenterPoint program. Each video is 60 minutes long, and you can view them at your leisure. You need not be signed in, and a Customer Care Plan is not required. (You can view them now if you’d like!) Customers who view both videos are much more successful in their transition. Click here to learn more: Online Training Videos. How2 Documents. (FREE) The How2 Documents section of the web site offers step-by-step instructions for specific processes within CenterPoint. To view the How2 Documents, you need to have a Customer Care Plan and be signed in. Classroom training. (Additional Cost) Some people prefer to attend a live classroom training session. If that is you, we’ve got you covered. Click here to learn more: Classroom Training. Moving to CenterPoint Accounting for Agriculture is an excellent option. Read some of the customer comments about CenterPoint: CenterPoint Accounting for Agriculture Customer Comments. Give us a call if you have any questions, or you are ready to take the next step: 800-732-9464. I have been attending the conference and annual meeting of this national, 50-year-old, group for close to 30 years. I have served on several committees and on its board of directors in many positions, including its president. I go to these meetings primarily for three reasons: 1) the networking opportunities it provides, 2) the continuing education I receive, and 3) attending a certain number of meetings is a requirement of maintaining the certification I earned from the group. The reason I bring this up is to remind everyone about the importance continuing education has on staying on top of your business or career. Many people attend classroom training provided by Red Wing Software to attain some of the knowledge they need to get a better handle on the finances of their operation. In an effort to provide even more value to attending Red Wing Software educational training sessions, we received certification from NASBA (National Association of State Boards of Accountancy) that allows us to issues CPE (Continuing Professional Education) credit for attending our software training classes. We feel this is one more item in a long list of important benefits we can offer to our customers. Total Seed Production, a Red Wing Software customer, has announced expansion plans. 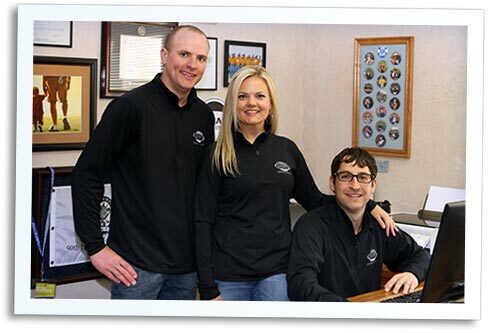 Christy Conaway had this to say about Red Wing Software: "We have used Red Wing Software for 8 years now. It is a wonderful program and we really enjoy the help we get! Thanks for making our business easier to operate!" Many thanks to Total Seed Production for being a customer, and a hearty congratulations on your growth! Read more about the expansion news below. Tipton, Indiana, - Total Seed Production, Inc. (TSP) is pleased to announce the completion of yet another plant expansion project. This year completes the goal of doubling the plant’s capacity within 5 years. This type of investment proves TSP’s commitment to its customers to continue providing them with high quality seed and first class service; which the company has consistently been doing for the past 78 years. “Our operation continues to expand because of our unique seed production structure, which allows us to be an unmatched leader in quality and service.” said Aaron Conaway, President of TSP. Aaron Conaway also states “TSP’s key to success is centered on our vertical integration and being able to control every step of the process. This includes raising the crop on our own land, through the entire packaging and distribution process.” TSP is located in the heart of the best seed production region, on nutrient rich soils, with all seed fields being produced in the four counties surrounding the facility. 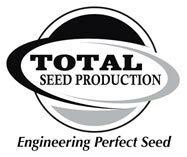 Total Seed Production Inc. is family owned and operated by 4th generation seedsmen, and is one of the largest vertically integrated seed corn and soybean seed producers in the United States. The home office and production facility is located in central Indiana and services customers throughout the entire USA, Canada, and Mexico.